The XJ-A150 offers an amazing 3000 ANSI Lumens of brightness and an XGA Real display while having a slim and lightweight standard paper-size body. Furthermore the use of the laser & LED hybrid light source increases the light source life to approximately 20000 hours which means less maintenance and lower operating costs. Moreover brightness deteriorates more slowly than with mercury lamps so clear image quality can be maintained for a long time. 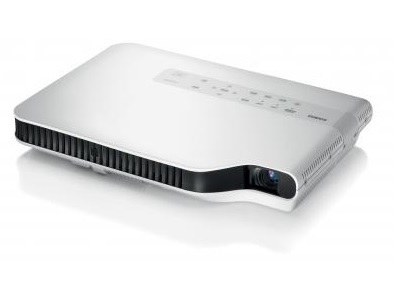 Other features such as an HDMI terminal which can project the contents digitally with no loss of quality; Wide-angle 2X zoom lens that provides the greatest magnification of any data projector; and quick powering on and off are also one of the Green Slim Projector series' highlights.